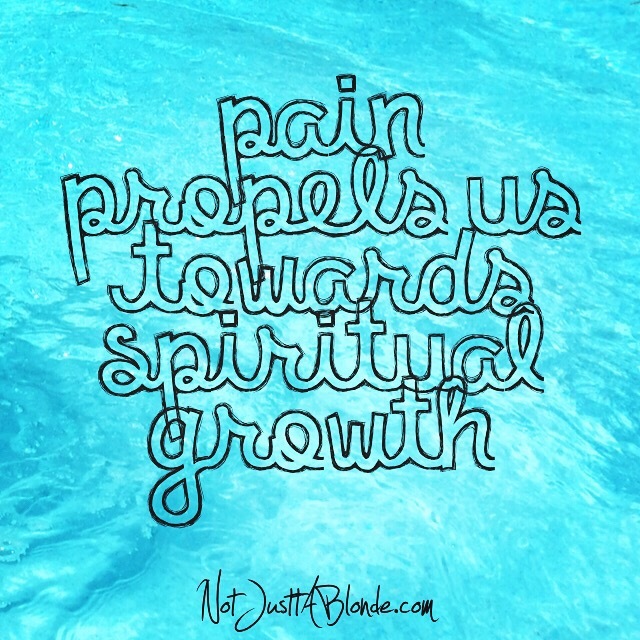 Pain propels us towards spiritual and personal growth. Who is willing to make a change if they are comfortable? It is our discomfort and pain that encourage us and even at times force us to make changes, take risks and grow! Pain is not the enemy, complacency is. Welcome the pains in your life as potential passageways to a better tomorrow and a more fulfilling life. Love on. One of the most dramatic periods of growth in my life came on the heels of a period of great loss. When we find ourselves in that deep hole of pain and sadness, the surest way out is to grow out. The beauty of it is that once we have become the new person that this growth produces, we can never return to that place again. We cannot put the butterfly back into the cocoon. 🙂 And oh, what a joy it is to take that leap and fly. It’s hard to accept some pain. You think you’ve accepted what has happened and you learn that’s not quite true. I don’t know what I could possibly learn from this pain other than to not trust as easily anymore.